Weddings by Lowell is a wedding officiant service in the South Florida area. Lowell Gannon has been marrying couples for over 10 years and has nothing but satisfied newlyweds, his ceremony is beautiful and his words touch the heart. 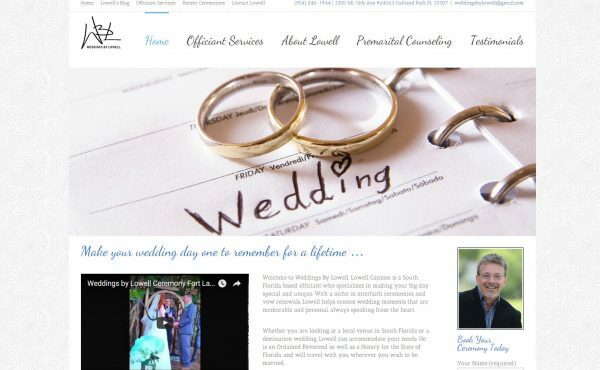 This beautifully designed website features happily married couples and integrates WeddingWire reviews, and recent wedding videos.